Rebecca Miano holds a Bachelor of Laws (LLB) degree with Honors, a diploma in Law and Post-graduate studies in Comparative Law. In 2010, she completed the Advanced Management Programme from Strathmore University. She is a registered Certified Public Secretary of Kenya and is a member of the Institute of Certified Public Secretaries of Kenya (ICPSK) and the Law Society of Kenya (LSK). Mrs. Miano was awarded the Company Secretary of the Year award in 2010 under the auspices of the ICPSK Champions of Governance. 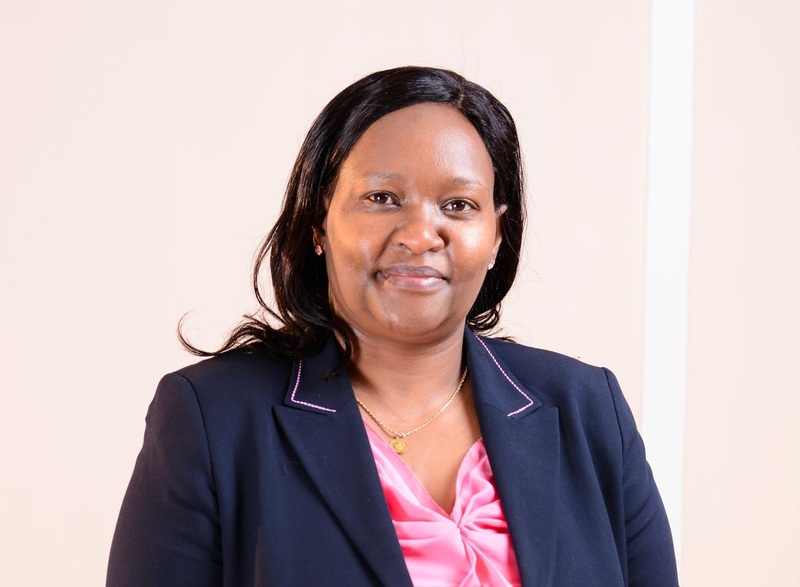 Mrs. Rebecca Miano was appointed the Acting Managing Director & Chief Executive Officer of KenGen with effect from 26th August 2017. She was appointed the Managing Director & Chief Executive Officer on 30th October 2017. She has been the Company Secretary and Legal Affairs Director since 2008. She is a respectable lawyer with a career in law and corporate governance. She has been responsible for driving the corporate governance agenda in the Company, providing guidance and support to the Board and has been the Secretary to the Board and all its Committees. Mrs. Miano is responsible for the operational running of the Company to ensure that the mission is achieved and efficacy of the business optimized. The CEO is accountable for the company’s actions, security of resources as well as ensuring the execution of the corporate strategy for long-term competitiveness. In addition to representing the management position on the Board, The MD & CEO chairs and supervises the Executive Committee (ExCo) comprising nine divisional directors. The role of education in personal and professional growth can never be overemphasized. I know that leadership as a skill can be learned over time even without having a formal education but in the modern world, a good education does go a long way in shaping one’s leadership capabilities. With every stage of my education, I believe I was able to move to the next level of my personal development. I believe my degree in law has been one of my greatest strengths which have helped me navigate the corporate corridors with a blend of boldness and caution. We operate in a very litigious society and time and again, we find ourselves in that position where you need more clarity on a certain legal matter, in such times, I always have a head start thanks to my education. On career, I am a firm advocate of proficiency and professionalism which I believe is perfected over time. My post-university career spans to about three decades and over this period, I can never discount the value of every experienced earned from the lowest levels in the corporate world to this very day. I think we are already enjoying the fruits of years of struggle as women of the world albeit in a small way. While we know that the #PressForFreedom march continues, I want to say here that we are better off today than we were just a few years ago. This shift is not just in developed parts of the world but also in Africa. In Kenya, the government has been extremely supportive to the education of the girl child which has seen a rise in numbers of female students going through school to the university level. Particularly, the free and mandatory primary education introduced in 2003 and also the free secondary education being introduced now has helped a great deal. We have also seen a tremendous shift in thought particularly at the policy formulation level which has led to the introduction of affirmative action for women. Today all company boards, parliament representation, and many other sectors are expected to have at least a third of the leadership positions held by women. A came across a recent research report which shows that a big percentage of women are capable and qualified - they have all it takes to lead. The only thing they lack is confidence. And confidence steals their opportunities and chances to climb up the ladder and grow in their career. I would encourage women to combine their qualifications, experience and other attributes with that single-most important leadership ingredient of confidence; Confidence and courage to face the challenge of leadership head-on and without fear of failure. KenGen board has challenged management to propose actual deliverables on how to nurture and empower women, highlighting clear goals and timelines on gender mainstreaming. We have proposals targeting women empowerment. It is not just the lack of numbers that trouble us, no. We would like to have a time when women will be more courageous, more passionate and more motivated to seek positions hitherto dominated by men. When you look at it logically, things like intelligence, wisdom, leadership and all the human virtues and strengths, know no gender. Beyond the physical human anatomy, women are equal to men or even better. We are the ones who build barriers and lock ourselves in compartments, then resign ourselves to the illusion that men are more courageous, more talented. This is not true; I think these things know no gender. The growth of the industry has led to the appreciation of several disciplines such as community engagement, Project Financing and Auditing. These are areas where soft skills and people issues take centre stage and call for diversity in approach. These are areas where women are naturally uniquely endowed to handle implying that the dramatic transformation can only be fully exploited by the promotion of women into top leadership positions for the greater societal good. The energy sector is predominantly male and that’s the reason why KenGen encourages more women to apply and immerse themselves in more roles in the sector. Currently, there are more women making it to leadership positions mainly because they have decided to level the playing field due to increased confidence and a growing number of role models. I think gender is our own boundary which we create and perfect but I would encourage women to be confident and take up leadership roles because they are already qualified. We formed a forum called the Pink Energy in KenGen which has been very significant in helping women to grow in their capabilities to clinch their rightful positions in the workplace not only in middle management but also in top management. KenGen embraces diversity as it complies with the 1/3 gender rule. I also helped to form pink energy. Pink Energy was born out of the findings of a survey by McKinsey & Company consultants on Organization Health Index. The survey clearly revealed that women were underprivileged in KenGen. Women were less senior, less motivated, and less of everything. This is what got the top management thinking about how to redress the balance! Pink Energy has got three pillars based on the engagement which will continue to be our focus areas until we achieve tangible results. This comprises of career development, health and wellness, financial empowerment, and mentorship. The goal is for ladies to build capacities to compete fairly with men for opportunities that arise within the company. Many hygienes and work environment issues such as sanitation facilities and women-friendly protective wear came up during a fact-finding mission by the HR department, making this a priority focus area. • Promotion of equal opportunities to engage in the value chain. • Supporting and enabling the ladies to access opportunities for career growth including training, mentorship and coaching. • Suitable PPE or related “hygiene factors” that makes the work environment more comfortable for the women. • Conducting gender awareness amongst the energy sector players. • A sincere attempt at gender equity within the sector i.e. Equity in representation in all major positions, committees, functions and other opportunities. • Such gender-responsive approaches are more effective.